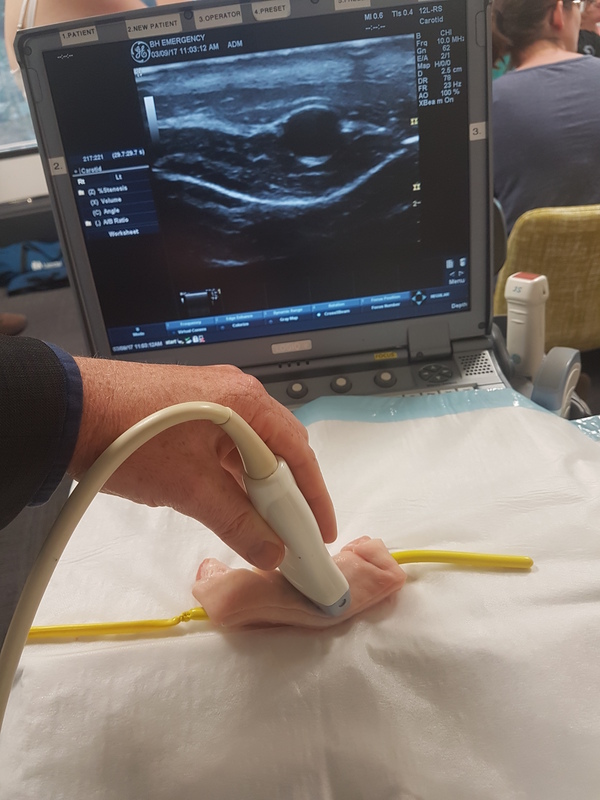 This week we got 9 of our consultants through The Procedures Course. Added to the one who had already done it, that is half of our senior staff having done the course now. There are a lot of useful courses around these days, with higher and higher expectations of acute health care and fewer opportunities to maintain skills in the workplace due to specialization, safer working hours and the expectation that clinicians will not learn something new on a critically ill person without having some sort of qualification or experience in it first. This course is a bit different from most. While the wonderful world of simulation has brought us the chance to practice many critical cognitive and technical skills in safe environments, the use of cadavers in medical training has really dropped off. In Australia, more than the US, we have a squeamishness about cadaver training. As a medical student I spent several hours a week for the first year and a half on cadaver based anatomy workshops but that is largely gone from modern medical training. Clinical training with cadavers remains quite uncommon here. Thanks to the enormous generosity of the people who asked to donate their bodies to medical training before they died, and the hard work of the team from the Alfred Emergency and Trauma Centre and Trauma Unit, supported by expert faculty including neurosurgeons, ophthalmologists, obstetricians, orthopods and others, we were able to learn and practice a raft of life, limb and sight saving skills this week. It is hard to describe how much more capable I feel as an emergency physician having done this course, and I’ve been one for a while now! Check out the course website, not that they need the publicity, they have sold out their next course already. Hog Fat… Is there anything it cannot do? I’m showing my age clearly because when I searched for that quote online to get the youtube clip of Homer Simpson uttering the words in wistful admiration of a power station powered by hog fat, it was nowhere to be seen. Now that I think of it, that episode probably predates youtube. Khiem Ngo has just joined the Bendigo ED Education team as Co-DEMT. I have him to thank for bringing us this innovation. When you have eaten all the crispy pork belly you can possibly eat (impossible?) 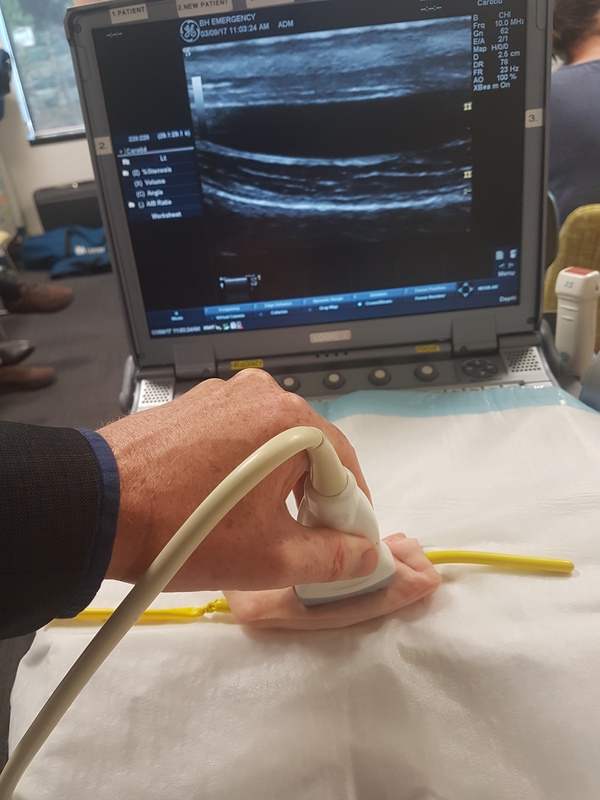 use the left overs to create a peripheral IVC ultrasound phantom that is more realistic than any you will buy commercially. Fill balloon with water but don’t distend it. Tie it off. How much does that scan cost? When I started out as an EM trainee, having dated a radiographer I was very cognisant of the radiation penalties from medical imaging as well as the associated risks of developing a new malignancy. Over time my conscientiousness in requesting radiology has waned. My individual threshold for imaging remains relatively high, especially in circumstances where validated clinical decision instruments determine further work-up to be unnecessary. Nevertheless, arguing the toss over imaging vs not imaging with other teams (who will likely ultimately be responsible for the patient’s care) becomes intellectually frustrating. It is usually easier to facilitate care by ordering a scan and saving one’s energy for something else. Like stroke care. No wait…. forget that one too. In equivocal cases, appealing to the attendant radiation penalty of a study may encourage deferment in favour of clinical observation. I put together this infographic to help facilitate such a conversation, and to help me quantify radiation dose and risk of malignancy in preparation for my fellowship exam. Another way to look at it: if you’ve spent a metaphorical $20,000 worth of medical radiation you’ve probably given someone cancer. And made a radiologist wealthy. Let’s budget our radiation wisely. We all know what it is like to have an acutely agitated patient present to your ED. It is challenging, intimidating, dangerous and disruptive for your staff and and your other patients. It can be difficult to take a step back from the evolving situation and assess . You may be consumed by the desire to regain control of the situation. It may be difficult to think about (let alone treat) whatever pathology is underlying. How many patients are affected in Victoria? Describe general management principles for this patient group? Make sure your staff is safe, are there any concealed weapons, can you move the patient to a secluded area, involve your security staff early. Call a Code Grey! Chemical sedation or rapid tranquilisation may also be required for an ABD patient. 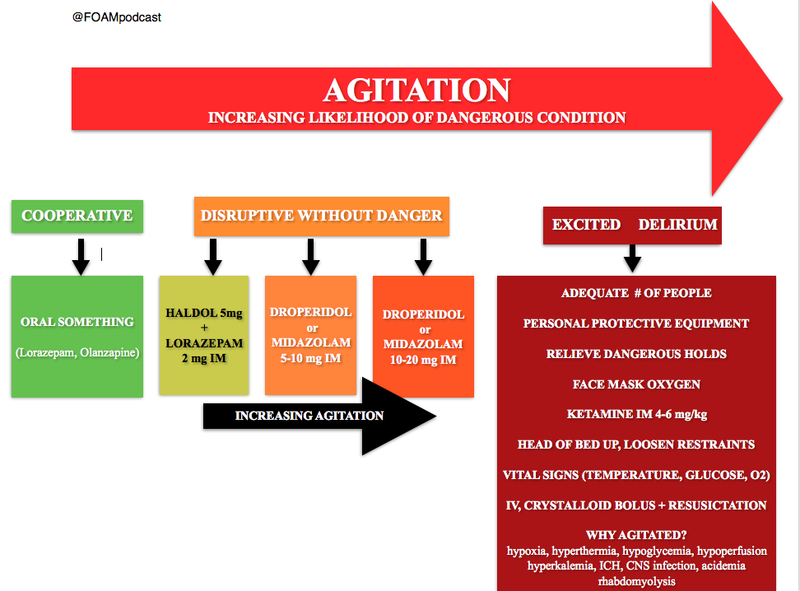 SAT+3 – your patient is aggressive and dangerous this is a full blown excited delirium! What about ketamine – can I use it? What does the literature say about drugs for ABD? If you are a trainee, there is no need to be too gung-ho to use new drugs that are outside your EDs normal practice, talk to your bosses and choose wisely! Don’t forget! Set your alarm clocks for 8am on Wednesday 26th October at 08:00 AEST. #DasSMACC will be bigger than ever before so make sure you are ready to get your ticket! This year it’s all different!